In 1954 Gary O’Callaghan was a young reporter with Sydney radio station 2SM. On 19 April 1954 he went with his fiance to the Royal Easter Show. There he met a security man who tipped him off that the Russians would be trying to get Evdokia Petrov out of the country that night. Leaving his fiance at the show, O’Callaghan went to Mascot Airport. Already a crowd of thousands was there. 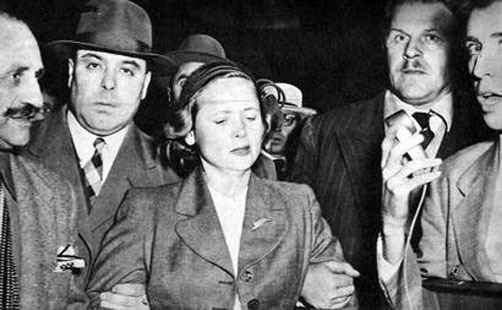 The Russians were trying to avoid the crowd by taking Mrs Petrov to the international airport via the TAA terminal. A helpful policeman gave Gary a leg up over the fence. He ran alongside Mrs Petrov and her escorts as they made their way to the plane. He recorded as he went but said that Mrs Petrov wouldn’t say a word. She only sobbed. Gary O’Callahan’s report of the event was broadcast on radio networks in the United States, Europe and Canada. O’Callaghan continues to work in radio but says that reporting from the scene of Mrs Petrov’s departure was his big scoop. He never returned to the Easter Show that night, but his fiance did marry him. 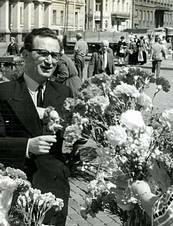 Bernard Freedman in Helsinki, 1950s. Image courtesy of Bernard Freedman. Bernard Freedman was a Press Gallery journalist with the Melbourne newspaper The Argus in the 1950s. He reported on the Petrov Affair from Prime Minister Menzies’ announcement of Petrov’s defection through to the Royal Commission on espionage. He was one of a number of journalists mentioned in Document H, which was given as evidence during the Royal Commission. He recalls Menzies giving a background talk about Document H to journalists, saying it was ‘quite harmless but rather amusing’. Mr Freedman scooped the Press Gallery by getting the only interview from Soviet Ambassador Generalov. The embassy was not taking phone calls, so Freedman walked over to the embassy, knocked on the door and was let in. Professor Robert Manne, author of The Petrov Affair. Image courtesy of Robert Manne. Professor Manne came to Australia as the child of postwar migrants in the late 1940s. He is currently Professor of Politics at La Trobe University, a political commentator and author of several books including The Petrov Affair. This book was the first written by an historian that confirmed the view that no conspiracy had in fact occurred between ASIO and Prime Minister Menzies. 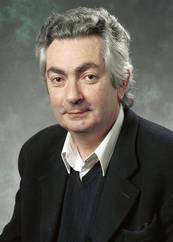 Professor Manne was also the editor of Quadrant between 1990 and 1997. He is a regular columnist and commentator on political affairs for the ABC, the Sydney Morning Herald and The Age.